Lock in a great price for citizenM Amsterdam South – rated 8.7 by recent guests! Drinks at the bar were yummy. Staff helped us find fun sights for us to see and attractions. Very unique hotel. Staff were super friendly and helpful and speak many language s. The hotel is clean, modern and comfortable. Very comfortable bed, cool lighting. Friendly staff to make you feel right at home, excellent bar and food! Love comfortable rooms. This hotel is amazing. The staff truly goes above and beyond, and the smart rooms are excellent and have everything one could need. The food and bar are open 24/7 and staff is always on hand to assist with any queries. Clean and smart rooms. The bed is comfortable and very big. I'd probably stay again, but would recommend the place for single travellers bcs of the bathroom & especially toilet facilities. :) Staff were nice, friendly and happy to help with anything. Very easy access to city center by several bus, trams and train connections. Short bike ride too. Very convenient for airport transfer too - just a few min from the airport with direct train connection. I like the convenience of the hotel's proximity to a train station. I transferred to this hotel since its 1 stop away from the airport and I have an early afternoon flight the following day..The staff were accomodating and engaging.. we felt the warm welcome.. no racism at all..the lobby looks great..the breakfast filled us just right to start the day..its a hotel with a character..the lighting in the room is great.. you can even play with it..This is the best hotel Ive been to so far in all of my European trips ..Highly recommended! citizenM Amsterdam South This rating is a reflection of how the property compares to the industry standard when it comes to price, facilities and services available. It's based on a self-evaluation by the property. Use this rating to help choose your stay! One of our top picks in Amsterdam.This unique hotel offers modern rooms with mood lighting, free Wi-Fi and a flat-screen TV with free on-demand films. CitizenM Amsterdam South includes designer lounges and is 2,450 feet from the RAI Conference Center. 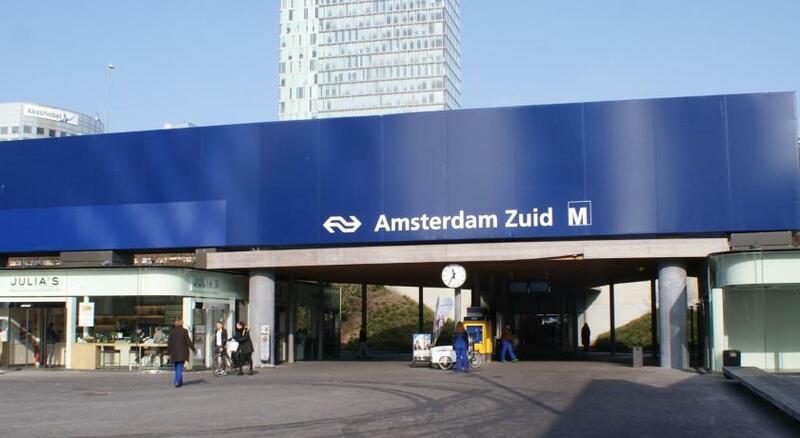 Amsterdam Zuid Railway Station is a 5-minute walk from citizenM hotel. The Prinses Irenestraat tram stop is only 450 feet from the hotel. 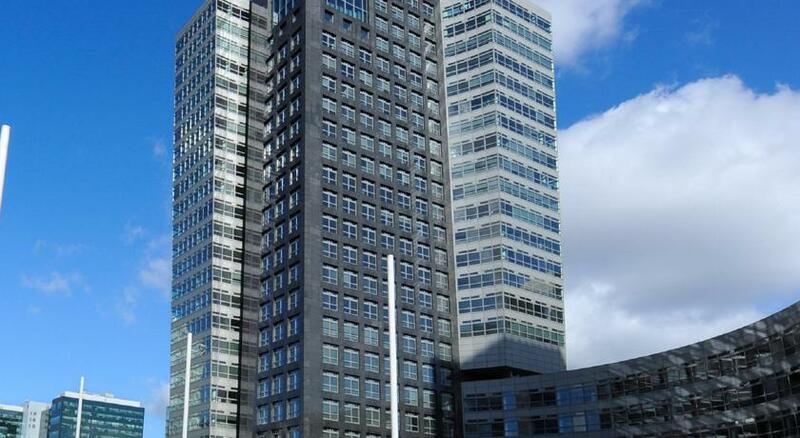 It offers direct connections to the city center including Dam Square in 25 minutes and Central Station in 30 minutes. Sandwiches, sushi and warm meals are available at canteenM. Freshly prepared coffee is also served by the in-house baristas. During the evening guests can enjoy exotic cocktails, draft beers and champagne at the bar. Zuideramstel is a great choice for travelers interested in sightseeing, atmosphere and city walks. When would you like to stay at citizenM Amsterdam South? All rooms have a king bed, a rain shower, free movies on demand and award-winning design furnishings. Please note that twin beds are not available. About ten minutes from city center & nearby the RAI conference center, citizenM boasts luxuriously appointed rooms at an affordable rate; with free Wi-Fi & movies, 24/7 dining & cocktails and luxury lobby living spaces with iconic Vitra furniture. Hotel surroundings – This neighborhood is a great choice for travelers interested in sightseeing, atmosphere and city walks – Check location Great location - show map Guests loved walking around the neighborhood! House Rules citizenM Amsterdam South takes special requests – add in the next step! ATM card Debit card citizenM Amsterdam South accepts these cards and reserves the right to temporarily hold an amount prior to arrival. citizenM Amsterdam South accepts these cards and reserves the right to temporarily hold an amount prior to arrival. Please note that when traveling by train, use the south exit to reach the property. Please note that citizenM Amsterdam has a nonsmoking policy. This includes all kinds of cigarettes, also electronic cigarettes. Rooms are a little bit too small and it would Ben good if one could open windows which is not possible. Staff is really friendly. Always helpful. Location is good and connected well to public transport like Metro and Tram. Pillow too soft. Round glass doors a bit tight. Plastic bottle water. Overall feel of the place - fun and quirky. Convenient from airport schipol. Easy to get into town from Amsterdam zuid station. It’ was clean and tidy. No loose hair in bed, sink or shower. This is the Hotel of the future. Cool, efficient and has everything needed from a hotel and also well presented at the same time that is affordable. Proximity to airport and trams/trains. Obliging staff. A bit cramped and claustrophobic for my liking. Lack of a coffee prep in the room was disappointing. Clean functional rooms with good wifi connection. Excellent bed. Good sound proofing. The hotel is located slightly away from the center of Amsterdam. Public transport past midnight not easily available so only options are taxi, Uber or bikes...or a quite long walk. Excellent atmosphere in a hotel with a difference. Great facilities, futuristic style rooms, really friendly and helpful staff. Fabulous breakfast and a quite neighborhood. Peaceful and safe neighborhood close to a park and to bus, tram and metro. Bikes available for hotel guests. The columns for shower and toilet are very stylish and you get used to the lack of privacy. The big bed was excellent. And I liked the seating areas in the basement.